In February, a photo workshop under the leadership of the famous Israeli photographer Pini Hamou was held in the Palace. The Christmas concert of Monika Bagárová’s took place in the Great Hall at the end of the year 2018. On September 14, the concert by a singer Dara Rolins took place in the Great Hall. 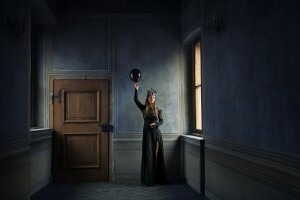 On April 23, a beautiful singer Monika Bagárová was photographed in Martinicky Palace for DIETA magazine. The Gala Evening Czech Hotel Awards 2018 took place in the Martinicky Palace on Monday, March 19. The representatives of the hotels that have ranked among the most popular, took award The Hotel of the Year and enjoyed an unforgettable evening being moderated by Jan Smigmator. 17 – 18 January: Release of the best action game JOIN THE Infantry DIVISION : Call of duty WW2. On 20 November a new CD album of the famous opera singer Marketa Fassati Mátlová was baptized in the Martinic Palace. The patrons of the Emozioni album became a photographer Jadran Šetlík and a saxophonist Felix Slováček, who also participated in the new album. 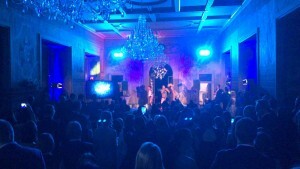 As special guests performed a violinist Jaroslav Svěcený and a singer Leona Machálková. The golden peak of the evening was a Diamond Dresses Show. The ceremonial of announcement the results of the Smell of the 2017 contest took place on Thursday, October 19th, at the Grand Hall of the Martinic Palace. The evening was moderated by Jana Plodková and Jiří Havelka. On October 23, the Czech Television shot in Martinic Palace a new film Defenestration about Alois Rašín, a prominent politician who significantly contributed to the establishment of the independent Czechoslovakia. Popular Czech actor Ondrej Vetchý plays beside others in the movie. On September 13, within the framework of the Nike Yoga Session, the historic hall of the Konírna was turned into an unusual yoga studio. On 4 September, the Martinic Palace celebrated the commemoration of the Orthodox Bishop Gorazda, who was executed 75 years ago by the Nazis for assistance the participants in the assassination of the Deputy/Acting Reich-Protector of Bohemia and Moravia, Reinhard Heydrich. 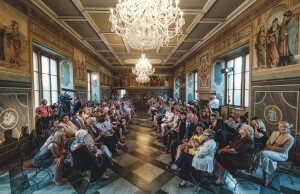 There was held a fashion show of the project Elegant Czech in the Martinic Palace on Friday, June 6, the aim of which is to restore the first republican aesthetic. 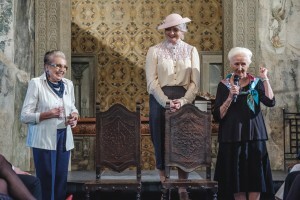 The main star of the show was 85-year-old Olga Knobloch. This first lady of the Czech cosmetics overshadowed with her charisma significantly younger models. 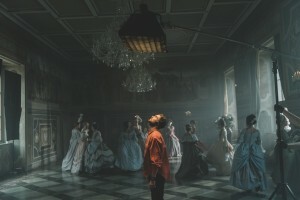 The campaign called Baroque with all the Senses was filmed by Czech Tourism Agency at the Great Hall of the Martinicky Palace on June 5, 2017.